But this particular Internet post—a 5,000 word exposé about the extraction of prisoner organs, made by a former prison guard, which first appeared in February—slowly gained the attention of an increasing number of Internet users. In troubling detail, it sketched out the interlinked chain of profit, corruption, and violence that drives the organ harvesting industry in Chinese prisons. And it named names: the individual who posted it identified himself as Liu Shuo, a former prison director at Sihui Prison in Zhaoqing City, Guangdong Province, southern China; and the individual most of the accusations were leveled against was also fingered: a deputy prisoner director named Luo Zubiao. 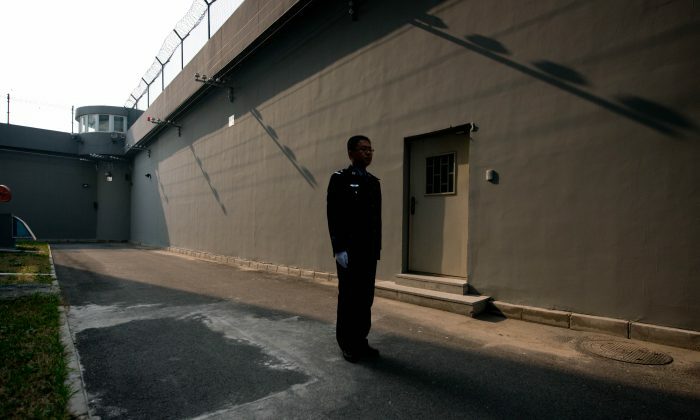 The details in the story, and the online reaction it garnered, got to the point that the Guangdong Prison Administrative Bureau was forced to come out on its own website and “dismiss” the shocking allegations (which, for many mistrusting Chinese citizens, was all the confirmation they needed). The biggest problem with organ transplants is not a technical one—it’s a matter of where you get organs from. And it so happens that the identities of the key protagonists in the story are at least somewhat verifiable: an overseas Chinese refugee personally knew the man who appears to have posted it, and the other individual—the target of the allegations—has been documented to exist by human rights researchers overseas. Liu, the former prison guard who allegedly wrote the post, states that his reason for making the revelations is because he is now paralyzed after a severe beating by Luo Zubiao, whom he accuses of murdering prisoners for profit. Kidneys were sold for 350,000 yuan (about US$56,410), a heart for over $960,000, a liver for over $560,000, and a cornea for around $22,000, according to Liu’s account. (The amounts for the heart and liver are significantly higher than is typically reported, and it is possible that the original post made a transcription error.) Between 2001 and 2006, the number of annual deaths at the Sihui Prison, including those who died of natural cause, numbered between four and six, Liu said. He said that he was personally aware of the harvesting of 16 people, all of whom were murdered for their organs. All prisoners go through health-checks when they arrive—a standard procedure in jails around the world—but the process was also used to identify potential candidates for organ harvesting, Liu wrote. Chen Weiquan, a prison guard, was the first person to know the results of these health exams. Then, without arousing any suspicion, he would quietly identify which prisoners would later be killed for their organs: they should be healthy, but also not educated; poor, from a remote area, and not a recipient of any visitors. Liu Shuo was a prison guard at the prison district where I was locked up. These prisoners identified as harvest candidates are then moved into parts of the prison where Luo had absolute control, with no contact with the outside world. Huang is a practitioner of Falun Gong, a spiritual practice that has been persecuted in China since 1999. He said he was shocked to learn about the story online, in particular because he had been persecuted by the men it spoke of. Neither Epoch Times nor Huang Kui could confirm that it was actually Liu Shuo who wrote the story, and it was not possible to directly contact him. Nevertheless, whoever wrote it knew very well the details of life inside Sihui Prison, including specific episodes and names of people. “For example, the story of the warden Feng Guofei on Jan. 2, 2005, how he abused another prisoner, Fu Yanhua, and injured his pancreas. I know about this very well, because I was locked up in the same prison district where this happened,” Huang said. Moreover, Luo Zubiao’s activities had already earned him a reputation among human rights researchers outside of China. The non-profit research group World Organization to Investigate the Persecution of Falun Gong previously named Luo for his activities persecuting Falun Gong. The Chinese military surgeon who exposed SARS now tells Hong Kong media that PLA hospitals have been harvesting the organs of prisoners for over a decade.